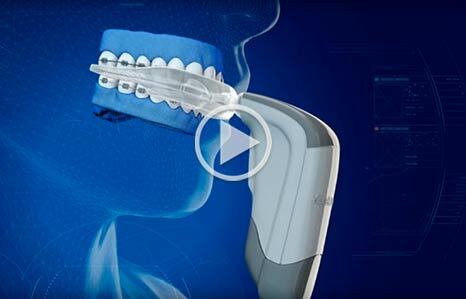 The AcceleDent™ System is designed to increase the rate of tooth movement and may reduce treatment time when used with a conventional fixed orthodontic appliance. Results from a Randomized Controlled Clinical Trial, conducted at the University of Texas Health Science Center at San Antonio, demonstrate that tooth movement could be increased during the alignment phase by 106% and during the space closure phase by 38-50%. The use of AcceleDent with other types of orthodontic appliances has not yet been studied. No. AcceleDent is well tolerated and does not increase the level of discomfort associated with orthodontic treatment. In fact, many patients reported experiencing a DECREASE in discomfort or unpleasant sensation during treatment.